Iridium Communications completed deployment of its Iridium Next constellation with the Jan. 11 launch of the final 10 satellites in the system. The constellation consists of 66 operational satellites and nine on-orbit spares. Credit: Thales Alenia Space artist's concept. WASHINGTON — With its full second-generation constellation now in orbit, Iridium has transferred all its communications services off of its two-decade-old legacy fleet. The final two satellites in Iridium’s new fleet, called Iridium Next, entered service Feb. 5 at 2:15 p.m. Eastern, completing a refresh that began as the legacy fleet started to lose operational capability. Desch said Iridium had already run out of spares and had lost one operational satellite by the time SpaceX launched the first Iridium Next satellites in January 2017. “We were really operating a satellite short,” Desch said. While Iridium was relying on 65 satellites instead of a nominal 66, the company had small service interruptions limited to “a few minutes outage once or twice a day” in areas where the satellite was absent, Desch said. The interruption was so minimal that customers were unaware, he said. Iridium now has 75 satellites in orbit — 66 operational plus nine spares — and six spares on the ground. 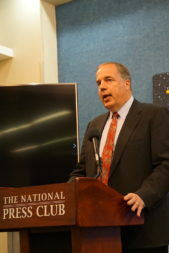 Desch said Iridium projects a lifespan of 15 years or more for the Iridium Next satellites. 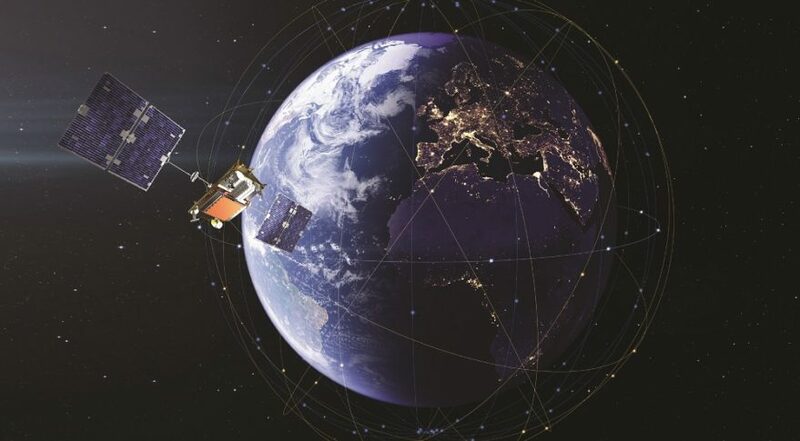 European manufacturer Thales Alenia Space built Iridium Next, while Orbital ATK (now Northrop Grumman Innovation Systems) assembled and integrated the satellites in Gilbert, Arizona. SpaceX launched the entire constellation on eight Falcon 9 launches over the course of two years, with the final mission occurring Jan. 11. Whereas the legacy fleet from Motorola and Lockheed Martin was designed mainly for voice communications, Iridium Next is optimized to support substantially more data services. Iridium announced Jan. 6 a transceiver with 35 times the data speed of existing devices. Desch said the device will be available mid-year to select ground segment manufacturers, and generally available by the end of the year. Desch said Iridium has “deboosted” 52 legacy satellites, a process that involves lowering their orbits to catch the Earth’s atmosphere and burn up. So far, 47 legacy satellites have reentered, Desch said. Iridium will deorbit the last 13 legacy satellites over the next few months. Desch said the average time between deboosting and complete deorbiting is 19 days.